Fuel - "If ye are prepared, ye shall not fear..."
Fuel sources will make the difference between major suffering and even death vs living in relative comfort. There is not one source that is sufficient for all your energy needs. For as long as you have wood to burn, you can cook on a tripod. If there is rioting and looting going on, you may not want to draw attention with smoke or smells. You may want to cook in the lower levels of your home in the early hours of the morning with another source. 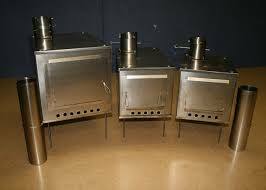 A wood stove is good for heating the home and cooking, and a Monarch (wood stove with an oven) is very useful in baking bread. Keep in mind, wood takes 6 months to cure. It takes a while to have wood ready unless you find trees that have fallen for awhile. The Mr. Buddy heater will keep your tent warm. It hooks onto a mini-propane bottle. The bottles can also be used for temporary cooking on a camp stove. Tent stoves have a tenancy to burn out on the bottom, but a titanium stove will not. They are small but mighty and long lasting. They are expensive but will not let you down. This model will keep your refrigerator going, your minimal lights on at night and another small appliance like the "Hot Water on Demand" from Coleman (available on Amazon). The hot water is only heated to 100 degrees in 4 seconds when you push "on". The battery on the unit can be charged by the solar unit and it good for 40 gallons of hot water a day. Not bad. You can keep water warm on a fire pit, but it consumes wood constantly to keep it warm. A reserve of propane (1,000 gallon unit is approx. $1800 full) buried on your property somewhere will get you through at least two winters if used solely for heat in one room. When every one is competing for wood resources, the supply becomes very limited and difficult to gather. If your home is not set up for propane, hook it into a whole house generator. Although good to have on hand, the noise will give away that you have it. It is portable, so if you have to leave the area you can take it with you. It also runs on gasoline so it will be easier to hunt down fuel. Store your gasoline in a sitting RV tank or other gas cans. If you store for more than one year, use an additive like PRI. 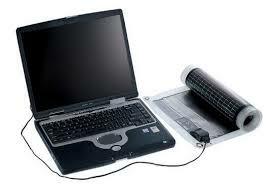 A small "roll up" solar panel will let you keep your phone charged and even your laptop. However, when the electricity goes down usually the towers and internet go down with it. Outdoor solar lights (for your walkway) make great lights inside the house at night. No flashlight needed! THIS IS MY BEST ADVICE!! INEXPENSIVE AND ALL YOU NEED IN A CAMP SITUATION. YOU WILL NOT HAVE APPLIANCES SO A LARGER UNIT WILL NOT BE NEEDED. Charcoal - take from the bags and seal in buckets to keep the moisture out and you will have a source to cook from. Recycle candles. Buy a wax melting pot and a bag of wicks. Pour into sand molds to avoid using jars or other resources. Collect candles over the years. Collect Sterno can fuel (cases in Sams restaurant supplies) for lighting or warming. Drop in bottom of a Mason jar.